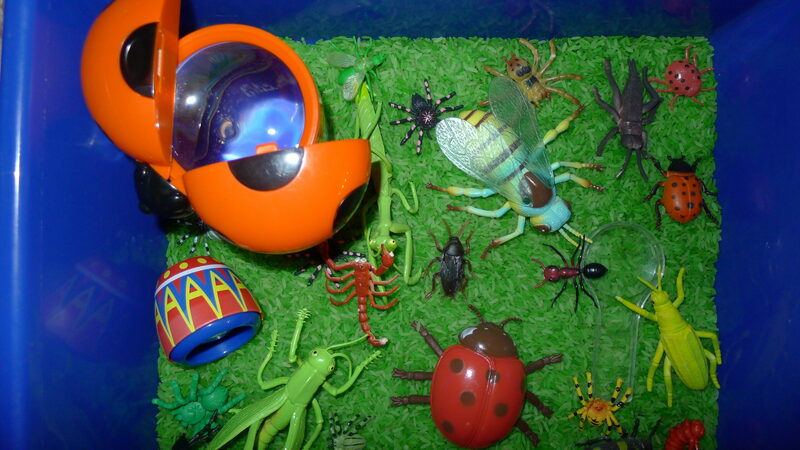 With this week’s theme being “Bb”, I thought that a bugs sensory bin would be fun and interesting and would fit in well. To dye the rice, put dry rice in a ziploc bag, add about a teaspoon of rubbing alcohol and lots of green food colouring, and shake until well mixed. Then lay it out on a cookie sheet to dry, which does not take long. Check out my book on sensory activities! I like the dyed rice, that’s really creative! This looks like such fun. 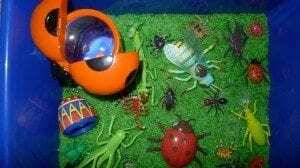 I think JDaniel would love playing with bugs.